RTD, resistance thermometer (Pt100) with 316 Stainless Steel sheath and standard (KNE) terminal head for industrial applications. A 3 wire Class B Pt100 detector fitted at the tip of a 6.0mm or 8.0mm diameter stainless steel sheath. 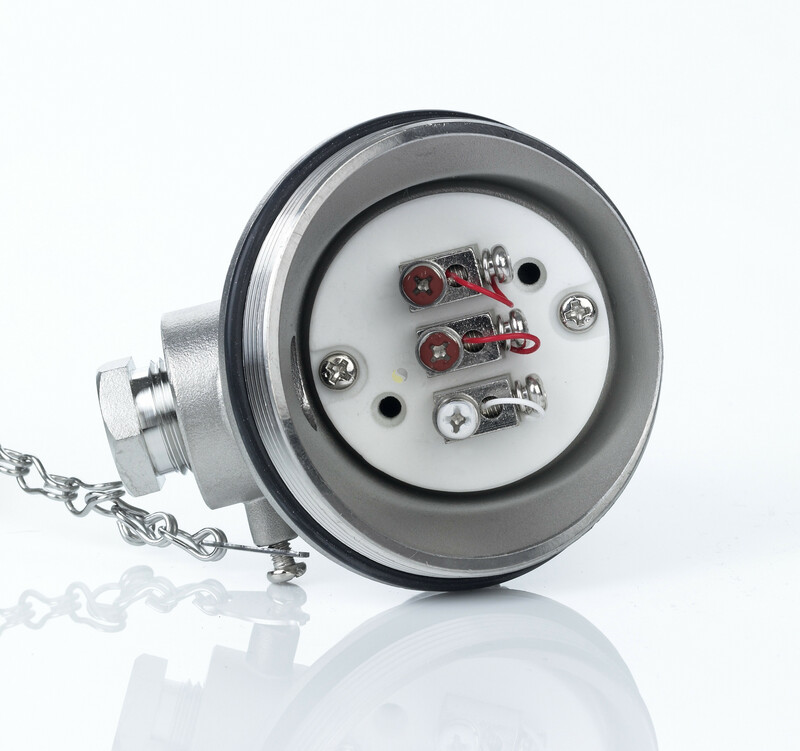 The fixed probe can be supplied in a number of lengths and provides protection for the sensing element from liquids or gasses making it ideal for a vast range of process and control applications. 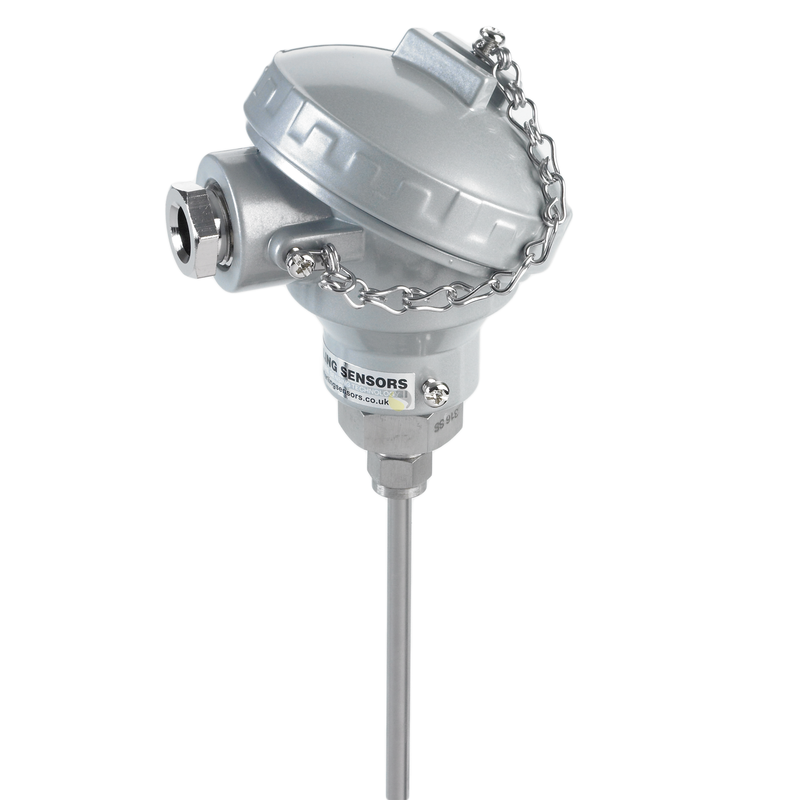 The screw top IP68 (KNE) weather-proof head is recognised as the industry standard when terminating industrial probes. 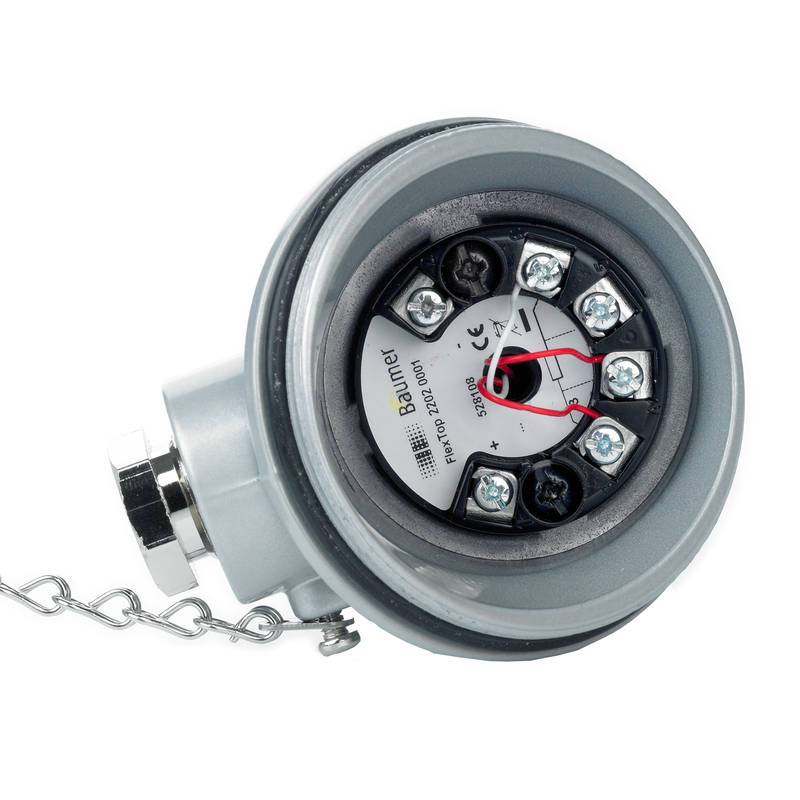 It has a M20 cable entry and comes with a ceramic terminal block or optional in-head transmitter.